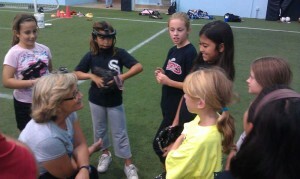 Softball Excellence was founded by world-renowned Coach, Instructor, Clinician and Author Cindy Bristow. Cindy formed Softball Excellence to provide coaches and parents the very best softball instruction available anywhere on every topic and skill in a manner that's easy-to-understand and use. Copyright © 2019 Softball Excellence LLC. All Rights Reserved.